Make Your Meeting an Experience to Remember! In today's meetings and events landscape, we need to capture and maintain guest attention greater than ever before. The key is to design an experience that personally connects the guest to your brand. By finding a simple, unifying principle that's identifiable and engaging, you can create a better guest experience while also achieving your business goals and objectives. The best ways to create a memorable experience that personally connects your guests to your brand. When following this phased journey, you can identify opportunities to improve and impact the guest experience, which creates a unique event that's educational, meaningful, motivational and memorable for each guest. 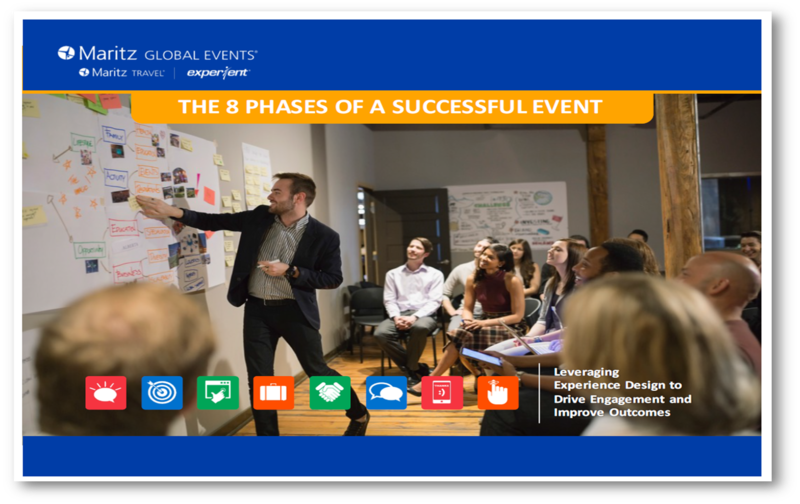 Complete the form to download The 8 Phases of a Successful Event eBook.